The New Year can only mean one thing for me and its getting my hands on new note books. 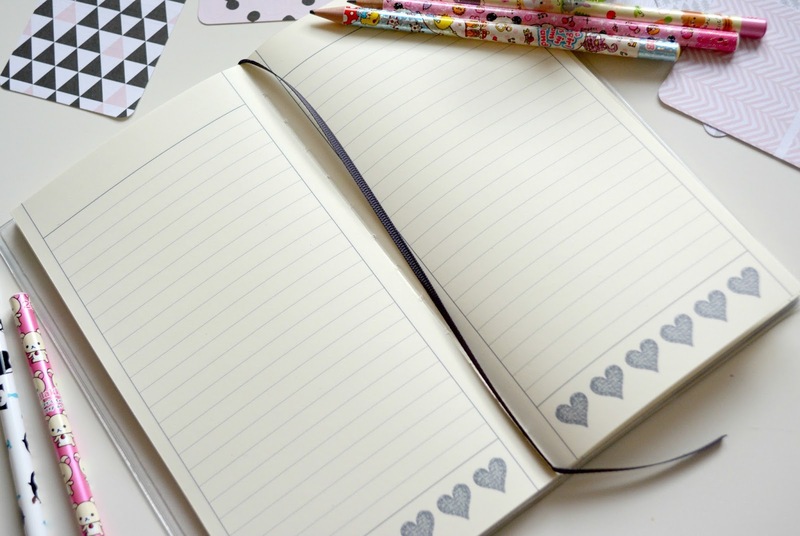 I am not really a diary person as I always find it hard to fill them day by day but when it comes notebooks I don't have to worry about filling the pages, I do so on my own time. This year I got very lucky, I didn't even purchase the two notebooks below. Both were gifted to me and both come from Paperchase which, I have to admit, is my all time favourite stationery store. 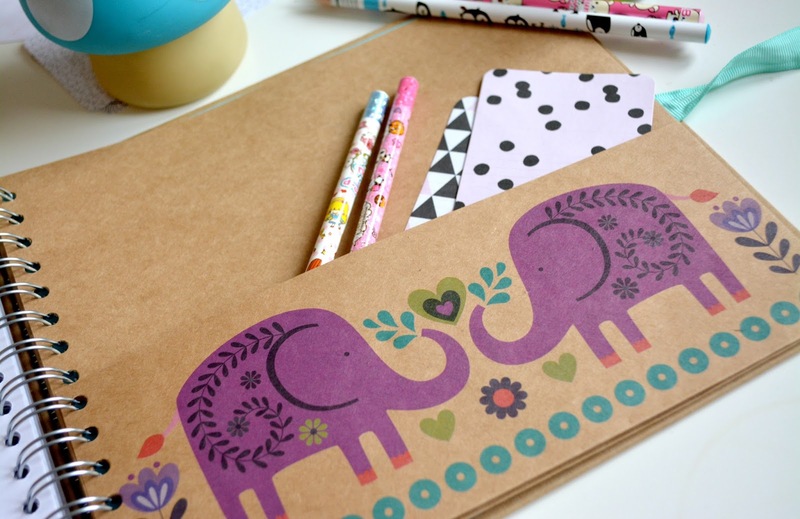 The first one is the beautiful elephant design print. 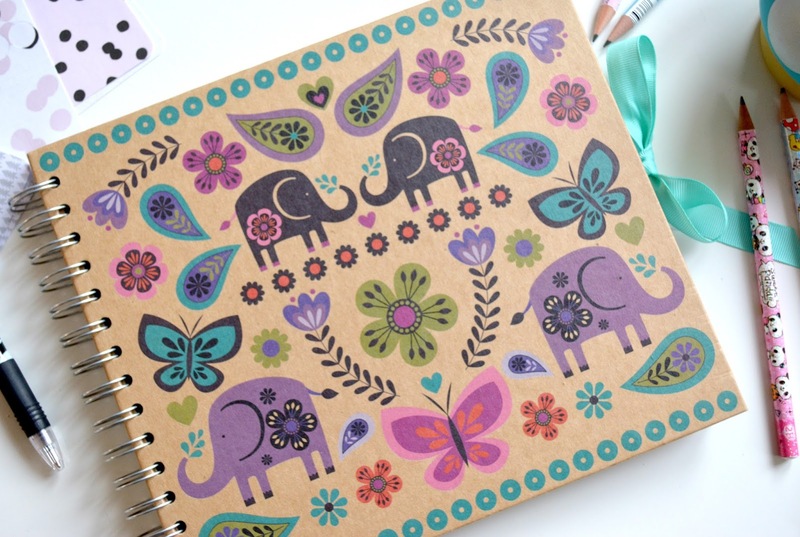 Actually it is more like a scrapbook rather than a notebook. As I am hoping to go travelling more this year with my boyfriend I would definitely use that one where I could collect little mementos from my travels, makes notes and even add a few of my own drawings. Also this scrap book is split in two, one side which is blank for notes, drawings etc. and the other side is more like a scrapbook including pockets to store those bits and pieces you collect on the way. Its just cute and perfect as a travel companion. 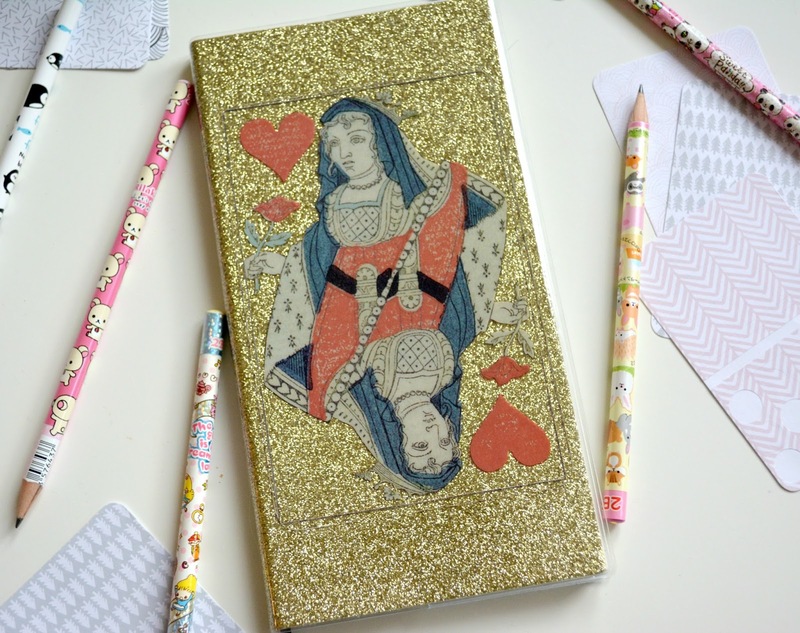 My second notebook is this gorgeous gold queen of hearts. I am not usually a fan of anything glittery but I have to admit that this time around I actually do really love this tall note book which also is the perfect hand bag size. 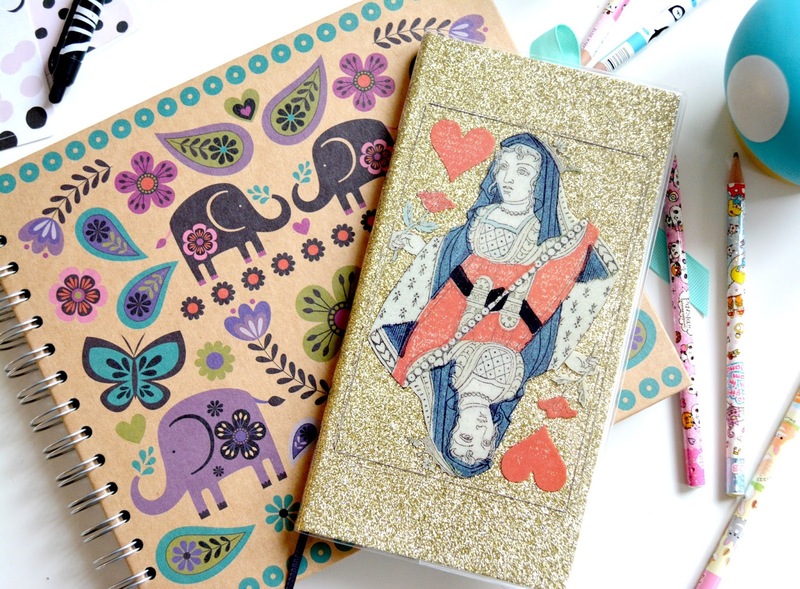 I love writing ideas, or blog post in notebooks when I am travelling from or to work and as my current one has seen better days this Queen of Hearts notebook is soon going to become the next one. 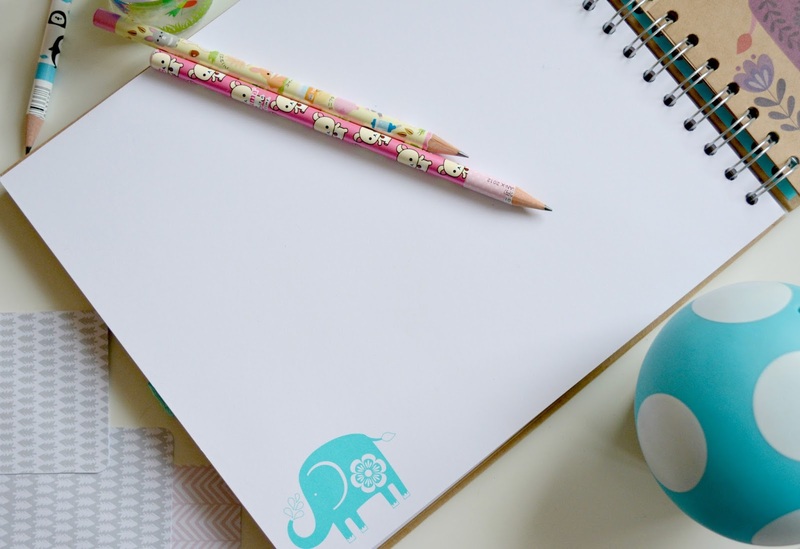 Are you a notebook or diary type of person? tell me all by commenting below. Don't forget to follow me on my Instagram and on my Facebook page for my everyday adventure.